No picture does the Grand Canyon justice. There will never be a photo that captures the awe and how small you feel looking at the layers of red rock of the prehistoric ravine. A weekend at the Grand Canyon is a bucket-lister for sure and a stop we definitely had to make on our cross-country road trip! 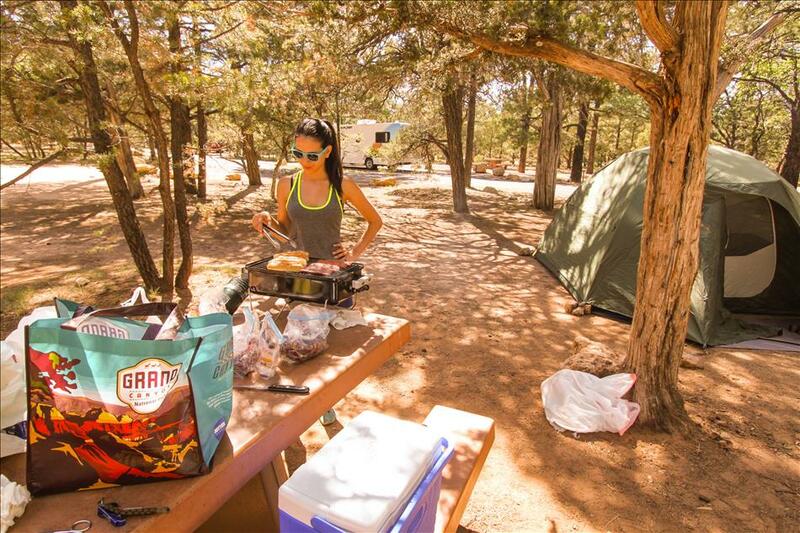 Book your camping space several months in advance. We booked 3 months out and spots were already scarce. Bring warm clothes even in the summer, as the nights at altitude are quite chilly! Invest in an air mattress. Our air mattress quickly became the piece of equipment that we were most thankful for, especially since it inflated by car plug. Be prepared to get dusty! I wouldn’t recommend light colored clothing. Packing food and drinks isn’t necessary as the General Store has almost everything you could possibly want. Check out the craft beer selection at the General Store. It features many local micro brews so you can really taste Arizona. 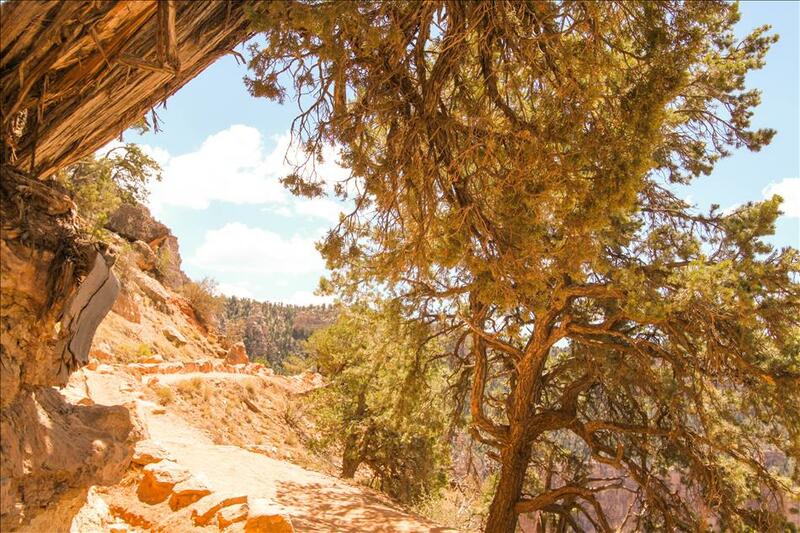 Get an early start for hiking the canyon. It takes a while and there are so many scenic photo ops! 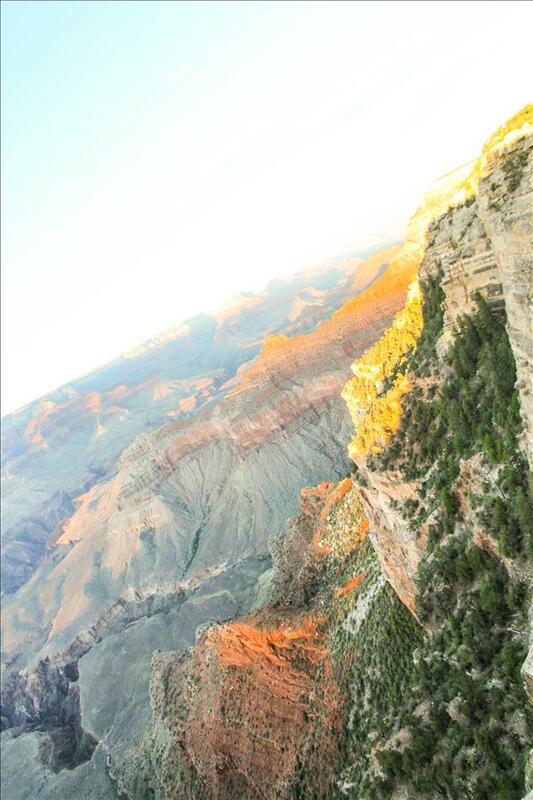 Watch the sunset over the Grand Canyon! It is amazing! We arrived to the Yavapai campground at 11 to check in and set up and immediately made a trip over to the General Store to pick up lunch and dinner. Lunch ended up being chips and salsa paired with caesar salads. Next we drove up to Yavapai View Point to check out the Grand Canyon and catch the sunset. 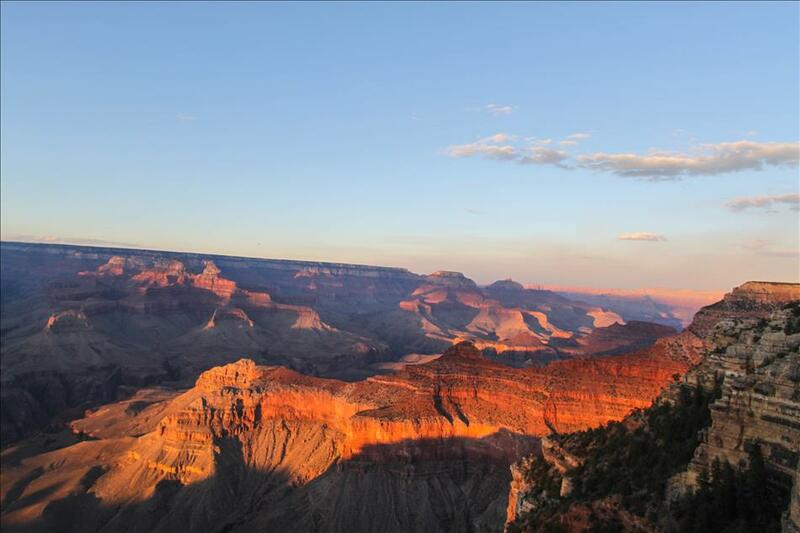 Sunset ignites the canyon making it a spectacular scene of vibrant color. It’s one of the most beautiful sunsets I’ve ever witnessed: a must see! Songbirds and sunlight woke us up at our campsite bright and early. Breakfast was cereal and almond milk. Then we headed to the store again to grab a couple vitamin waters, water bottles, and trail mix for making the hike down the canyon. Starting at the Grand Canyon Museum for a quick peek into geological history, we caught one of the free shuttle buses that make stops at the major viewpoints and the South Kaibab trail head. The hike was steep at parts and a bit daunting at first, but we ended up fearlessly clomping through the dusty paths that hug the steep canyon walls after a while. The complete hike to the bottom can take 12 hours total! So, after a couple hours we sat in the shade, enjoyed a snack and headed back for some hard earned lunch. At dusk, a dinner by campfire was the perfect ending to an adventurous day of experiencing the Grand Canyon and we rewarded ourselves with delicious chicken habanero hot dogs. 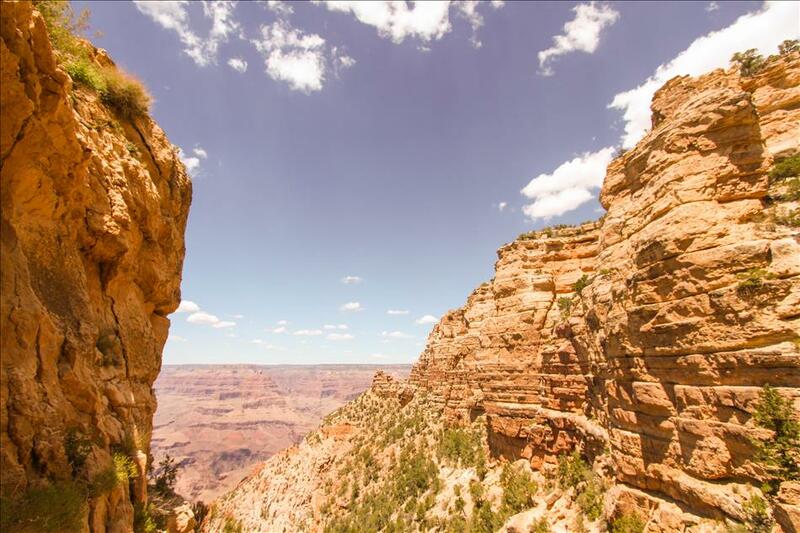 The Grand Canyon is such a beauty and well deserving of its spot among the top natural wonders of the world. Many spend a quick couple of hours here as a stop on a road trip, but I definitely recommend camping for at least a couple days to immerse yourself and take in all the natural beauty the canyon and the surrounding area has to offer! 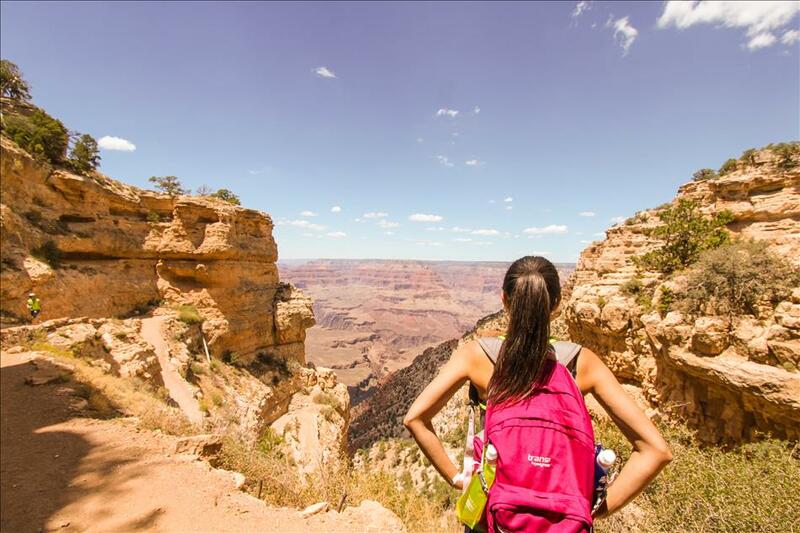 I give the Yavapai campground 5 stars in terms of places to stay at the Grand Canyon and would recommend staying there over a hotel to get the full experience. It was top notch offering plenty of shade, a fire pit, and easy access to facilities.